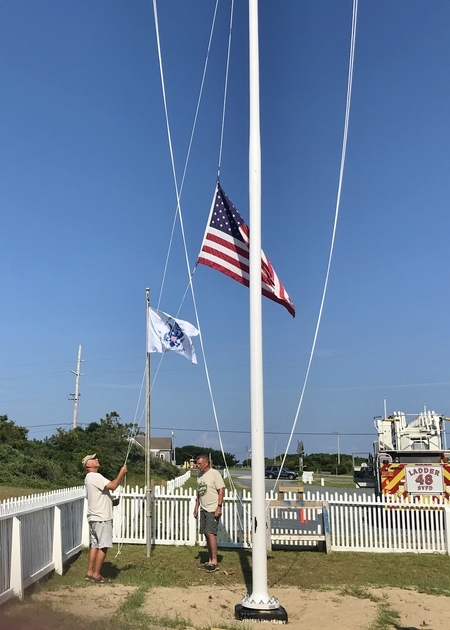 This flagpole is from the old Oregon Inlet Station and was originally a communications tower that, after it was declared obsolete, was trimmed by 20’ to replace the station’s old flagpole. 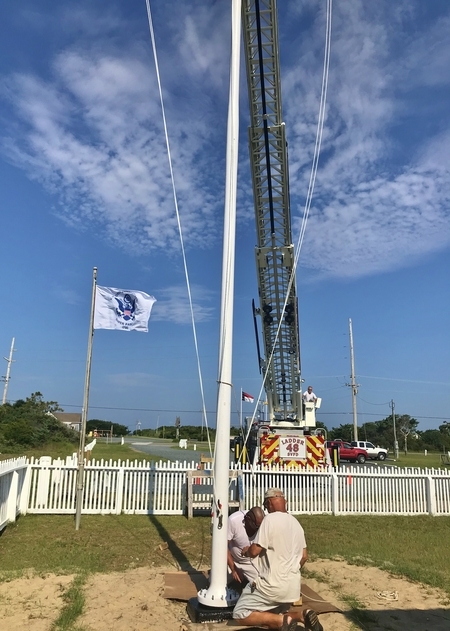 Board members Larry Grubbs and Sandy Sanderson set the pole into its stand while board member Mike Daugherty mans the ladder. 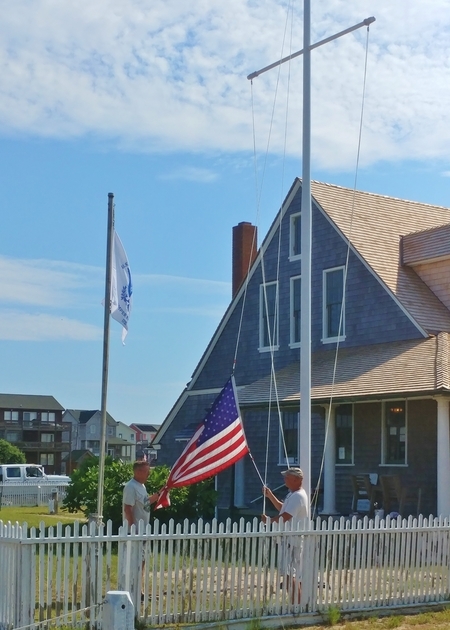 Larry captures Sandy & Wayne Gray (loyal friend of the Station) raise the flag while Mike looks on. 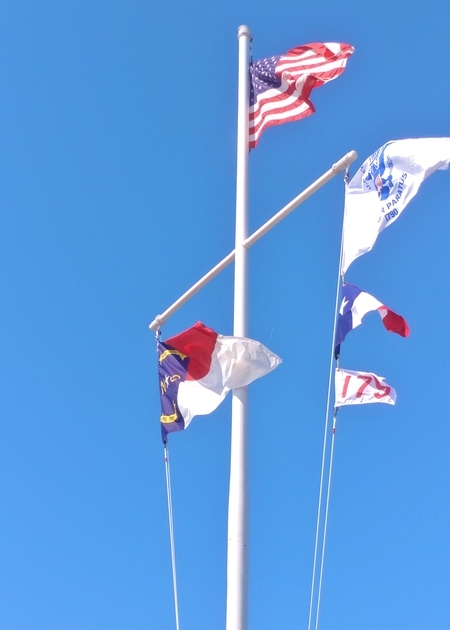 Sandy & Wayne raise the flag. 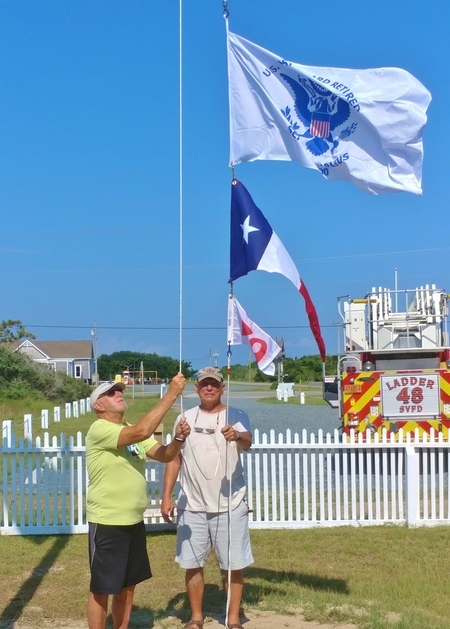 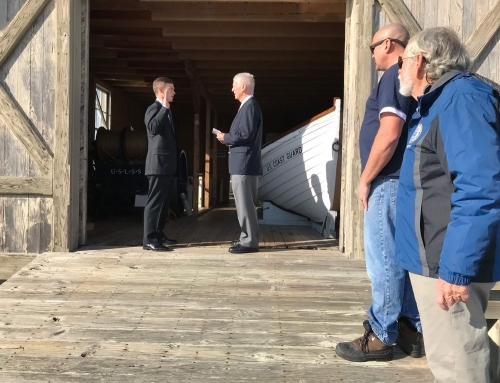 John Griffin & Sandy raise the USCG flag, USLSS pennant, and Station 179 flag.